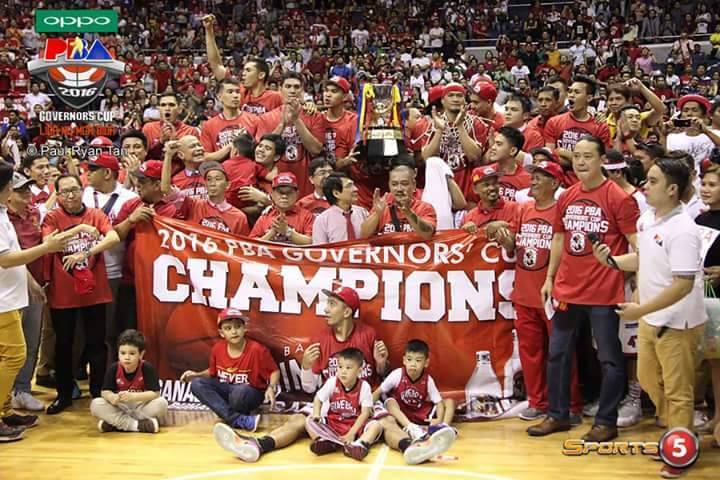 Finally after 8 heartbreaking years, Ginebra regains their throne! The 2016 PBA Governors’ Cup itself was exhilarating for PBA die-hard fans, each second counts as Meralco Volts and Legendary Ginebra Kings fight for the championship post. There couldn’t been any greater ending for the game when Ginebra import, Brownlee, scored a three-point buzzer beater shot, beating the Meralco Volts with a score of 91-88. The game itself was nerve-wrecking that Twitter exploded with Ginebra fan’s Tweets, Never say die! and #weareoneginebra. The key players who highlighted the team’s championship were, import James Brownlee who scored that winning three-point shot, LA Tenorio, who was named as the Finals MVP, Tenorio initially scored four points in the first quarter came alive on the second half leading the King’s by the third-quarter. Tenorio did mention that his wife’s impending child delivery gave him a sense of urgency to win the game. Coach Tim Cone admitted that he was a bad coach on the finals night and didn’t have a particular game plan, he said he just really had good players who can overcome even bad coaching. Another factor why the Kings’ won the game, was with the help of Jaworski magic, the veteran player gave the team a short pep talk during half-time when they were behind points by double digit. One team victory over another, Mark Caguioa, secured another win, when he proposed to his girlfriend of 12-years, Lauren Hudson, a few minutes after the game. Caguioa said he was about to propose before the game but winning the championship was the best timing ever for his proposal. As the Kings’ would always say, Never say die! Check out the highlights of the Meralco vs. Ginebra game 6 in the 2016 Oppo PBA Governor’s Cup.